Cricket buffs are in for a mega treat. The Ministry of Home Affairs today cleared Pakistan cricket team’s tour of India for a limited-over series beginning December 25 and said the government will provide foolproof security to the visiting team. The arch-rivals have not played a bilateral series since Pakistan’s tour of India in 2007 after cricket ties were snapped following the 2008 Mumbai terror attacks. A delegation of Board of Control for Cricket in India (BCCI) met Union Home Secretary RK Singh here today. BCCI senior official and Union Minister Rajiv Shukla said the Board delegation discussed with the Home Secretary about security and logistical issues. "We have discussed all security aspects. The tour is on," he told reporters here. The BCCI has finalised dates for the one-day series, with the first match due to kick off on December 25. The series would comprise three ODIs and two Twenty20 Internationals between December 2012 and January 2013. The ODI matches are likely to be played in Chennai, Kolkata and New Delhi and the Twenty20 games in Bangalore and Ahmedabad. Central forces will be deployed to aid the state police in guarding the match venues. In July, the BCCI had decided to resume cricketing ties with Pakistan by inviting the neighbouring country for a short series in December 2012-January 2013, to be sandwiched between the Test and ODI legs of the England team's tour of India. Apart from the security issues, the Union Home Ministry also gives visa clearance to Pakistani spectators. External Affairs Minister Salman Khurshid will deliver his first major address on global affairs when he chairs the ministerial meeting of the 19-member pan-Indian Ocean grouping, called Indian Ocean Rim Association for Regional Cooperation (IOR-ARC), at Gurgaon on Friday. On the margins of the day-long meet, he will also hold bilateral talks with some of the foreign ministers scheduled to attend the conference. His talks with the foreign ministers of Iran, Sri Lanka and Australia will be keenly monitored. The big question to be debated at the meeting will be whether the US should be made a dialogue partner of the grouping, which has completed more than 15 years of its existence but made little headway in terms of economic links among member nations. Briefing reporters here today, MEA spokesperson Syed Akbaruddin said America had shown interest in becoming a dialogue partner of the IOR-ARC during the India-US strategic dialogue held earlier this year. India had promised to put the matter before the meeting being held at Gurgaon. However, it is to be seen if Iran will approve of associating the US with the grouping, given its current stand-off with the West over the Islamic republic's nuclear programme. Another major issue the meeting will be called upon to sort out will be the nomenclature of the grouping. Members such as Australia and Indonesia have suggested that the organisation should have a name that will reflects its true character. The IOR-ARC association comprises Australia, Bangladesh, India, Indonesia, Iran, Kenya, Madagascar, Malaysia, Mauritius, Mozambique, Oman, Seychelles, Singapore, South Africa, Sri Lanka, Tanzania, Thailand, the United Arab Emirates and Yemen. At present, it has five dialogue partners -- China, Japan, UK, France and Egypt. According to Sudhir Vyas, Secretary (Economic Relations) in the MEA, the Indian Ocean is vital for the transportation of oil and conduct of other forms of global trade. As far as India is concerned, over 97 per cent of its international trade by volume and 75 per cent by value passes through the ocean. Though the IOR-ARC is yet to find its bearings, it has great economic potential, he said. 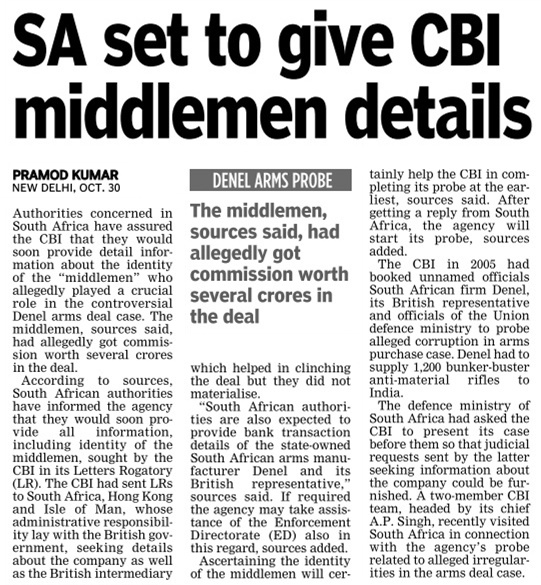 The ambassador in Rome, Debabrata Saha, has reportedly requested Italy for information on the “Indian middlemen”, including a serving army brigadier, in the AgustaWestland helicopter deal. India’s request though is not expected to yield results any time soon given that the Italian government does not have control over the probe — being conducted by the prosecution branch of the judicial system — and so no access to the information unearthed. It is learnt that Saha would also directly approach the prosecution branch, but it is unlikely they would share the details with a foreign nation. AgustaWestland, the other source of information, being a private firm, can’t be forced to part with details. And even if it does provide such information, it can’t be relied on completely, anyway. So, it seems, New Delhi will have to wait for the judicial process to take its course and for the Italian courts and prosecutors to make the documents public. 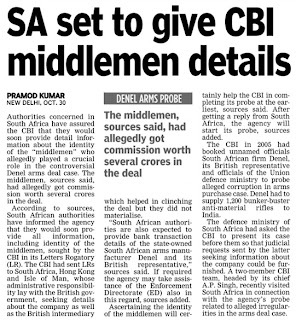 The court documents, as reported by The Indian Express, say investigators are looking into allegations that middlemen were paid Euro 51 million illegal commission to fix the Rs 3,546 crore contract. A letter seized from an alleged middleman, Swiss consultant Guido Haschke, claims that an army brigadier demanded $5 million to swing the deal. The Indian Army fish is rotting from the head. Memories are still fresh of the bruising confrontation earlier this year between the politically ambitious General VK Singh [ Images ] and an inept government that had precipitated a civil-military firestorm over the Army chief's quest for an extra year in office. Now, another aggrieved general is going to court in his quest for the top job. The current chief, General Bikram Singh, who took over from the divisive General VK Singh in June, has singularly failed to apply a healing touch and to undo the partisanship his predecessor unleashed. Most new bosses, even sports coaches, are expected to provide a new direction. In five months on the job, General Bikram Singh's new direction consists only of orders that officers must greet each other with the salutation of 'Jai Hind', instead of merely giving each other the time of day. The new chief also wants meetings to end with everyone chorusing 'Bharat Mata ki Jai'. 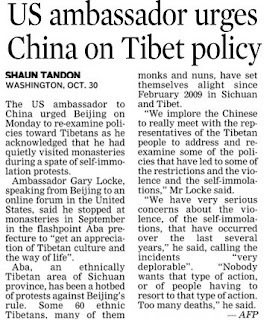 Intelligence reports have not yet confirmed that the Pakistani and Chinese militaries are quaking in their boots. Let us be charitable; perhaps General Bikram Singh needs more time. His arrival in Delhi [ Images ] was traumatic and uncertain, since his predecessor assiduously sabotaged his elevation in the internecine fighting that now seems to be a part of the game. Once in Delhi, the new chief's priority was to set himself up in the five-star style that now defines our culture of generalship. In his first days in the hallowed office of legends like General KS Thimayya and Field Marshal Sam Manekshaw [ Images ], the new chief and his staff busied themselves with putting together a retinue of a dozen waiters, cooks, dhobis and assorted tradesmen to sustain life in Army House. Called upon for retainers, a bevy of army formations milked out these retainers from combat units, where tough young officers and the legendary Indian jawan have learned how to make do with the dwindling resources that their own generals leave them. 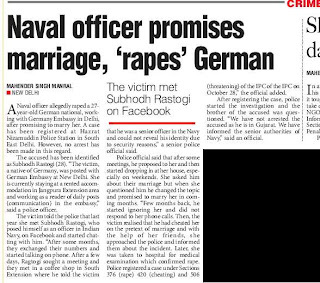 At least two senior flag-rank officers personally screened the men who would serve their chief, knowing that a spilt drink or over-salted soup could reverberate unpleasantly in their own careers. The chief will naturally deny this, since none of these tradesmen is officially posted to Army House, his tony residence on New Delhi's leafy Rajaji Marg. Conveniently, this entourage is on "temporary duty" with Army units in the capital. But any visitor to Army House would find them working there, just as visits to many Army posts and pickets would find combat soldiers cooking and washing instead of training and patrolling, simply because their cook or dhobi is languishing in Delhi. 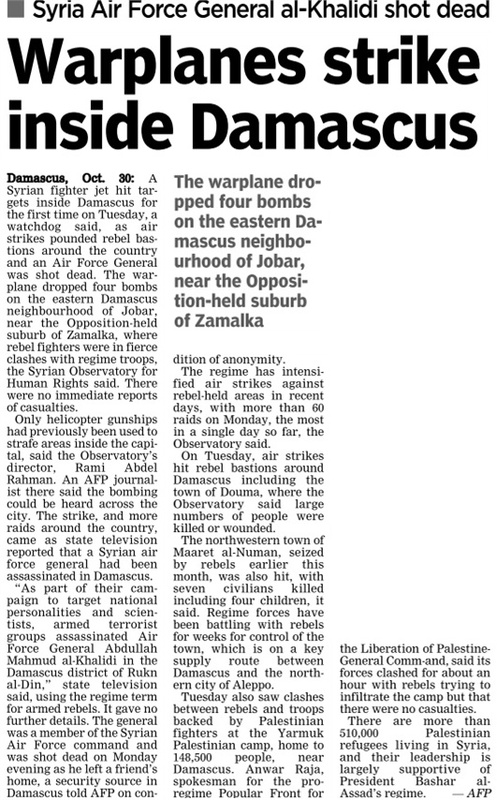 This travesty faces no resistance from subordinate generals, many of whom are hardly angels themselves. Lieutenant General Noble Thamburaj, who headed the Southern Army, was arrested by the Central Bureau of Investigation for gross irregularities concerning defence land. Two Army chiefs, Generals Deepak Kapoor and NC Vij, along with several Army commanders, received illegal flats in Mumbai's [ Images ] infamous Adarsh Housing Society. Lieutenant General Shankar Ghosh, the Western Army commander until June, had his medical category downgraded last year, entitling him to disability pension. But when General VK Singh's confrontation with the government made dismissal a possibility, General Ghosh (then the senior-most army commander), upgraded his medical category to be eligible for a move to Army House. If the generals believe that these shenanigans go unnoticed by junior officers or the rank and file, they are mistaken. The recent face-offs between officers and enlisted men in military bases near Samba, Amritsar [ Images ] and Leh suggest a decline in the ironclad faith that the Army jawan has always had in his leaders. 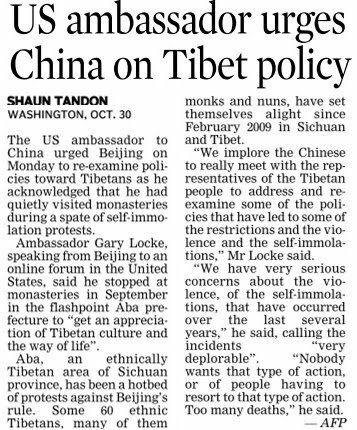 Today's culture of entitlement at the top -- where funds, resources and manpower are poured into supporting the five-star lifestyles of a few dozen senior generals -- threatens to seep downwards, poisoning the entire system. It is difficult to remain idealistic, motivated and dead straight -- the defining characteristics of young Indian officers -- when so much wrongdoing is evident at the top. Even honest officers are inevitably corrupted by a system in which outright financial dishonesty is condoned as "perks and privileges of office". 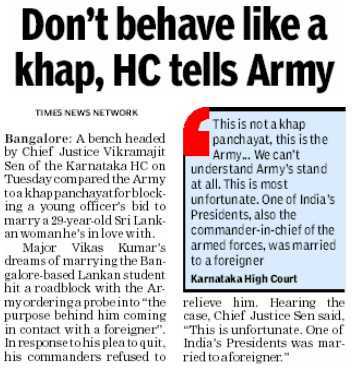 As worrying as the corruption is the lack of intellectual direction that generals provide the Army's young leaders. This was evident from the recent flood of chain emails between mid-level and junior officers, expressing outrage that the Army was being blamed in the media for the 1962 debacle. In the intellectual desert that the generals have made the Army, every red-blooded officer has bought into the 'Haqeeqat myth', in which gallant soldiers, badly deployed by incompetent politicians and bureaucrats, mowed down hordes of Chinese before laying down their lives. While this is true in several cases, there are many more cases of entire Indian sub-units fleeing from strong defensive positions into waiting Chinese ambushes. Any professional military studies its defeats even more deeply than its victories. But professional study is not on the Army's agenda. The generals believe that officers and men must be busy with creating the illusion of command success, howsoever transient. With no time to read or no guidance and inspiration from the top, human development is merely a buzzword. Preening incongruously amidst this crumbling edifice, General Bikram Singh has taken his media managers' ill-considered advice that controversies are best dealt with by avoiding the press. General VK Singh's mistake lay in seeking out the media, say the same advisors who had advised the previous chief. But with controversy increasingly swirling, the Army's leadership can no longer deal with its growing image problem by sticking its head in the sand. The dust has barely settled after General VK Singh's [ Images ] Supreme Court battle to be army chief for another year when another senior general is approaching the court with a petition which, if accepted, could make him the next army chief, instead of Lt Gen Dalbir Singh, the eastern army commander who is currently in line. Business Standard has learnt that Lt Gen Ravi Dastane, currently the deputy chief of the tri-service Integrated Defence Staff, will shortly file a petition with the Armed Forces Tribunal, a high court-level legal body that adjudicates on military matters. "My client has been unfairly denied the appointment of army commander, for which he fulfilled every condition. 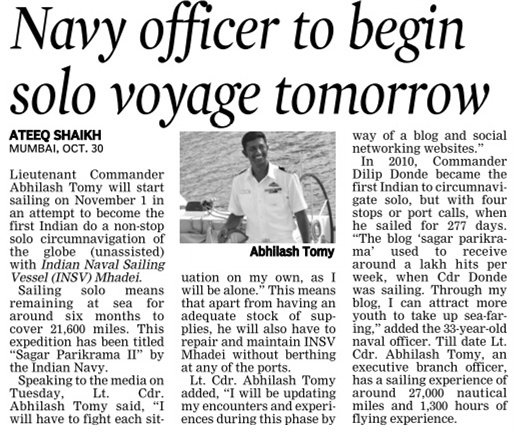 Instead, a post was kept vacant for Lt Gen Dalbir Singh who was under a vigilance ban. This was procedurally incorrect, and I will request the Honourable court to set it aside," says Major (Retired) Sudhansu Pande, who will represent Gen Dastane in court. After commanding the Leh-based 14 Corps in 2011-12, Gen Dastane is eligible to be appointed an army commander, a pre-requisite for becoming army chief. The army has seven commands: six geographical (northern, western, south-western, southern, central and eastern); and one functional command, the Army Training Command or ARTRAC. 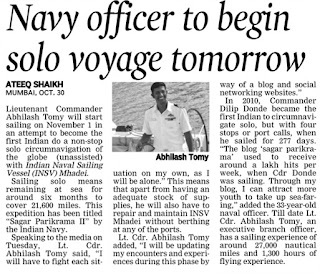 There is also the tri-service Andaman & Nicobar Command, commanded in turn by officers from the army, navy and air force. The key date in the current dispute is May 31, 2012, when two army commander posts fell vacant with the retirement of former army chief, Gen VK Singh [ Images ], and the western army commander, Lt Gen Shankar Ghosh. Army records examined by Business Standard indicate the three senior-most generals on that day who were eligible to become army commanders (the pre-requisite being that they must have commanded a corps) were, in order of seniority, Lt Gen Dalbir Singh, followed by Lt Gen Sanjiv Chachra, followed by Lt Gen Ravi Dastane. As was widely reported in the media at the time (and corroborated by Major Pande), Lt Gen Dalbir Singh was under a discipline and vigilance (DV) ban, having received a show-cause notice from the former Army chief, Gen VK Singh, for a botched operation by the 3 Corps Intelligence Unit under Dalbir's command. With Dalbir ineligible for elevation because of the DV ban, the Army appointed Chachra as western Army commander (MS Branch signal 388218/2012/MS(X)/79 dated May 30, 2012). 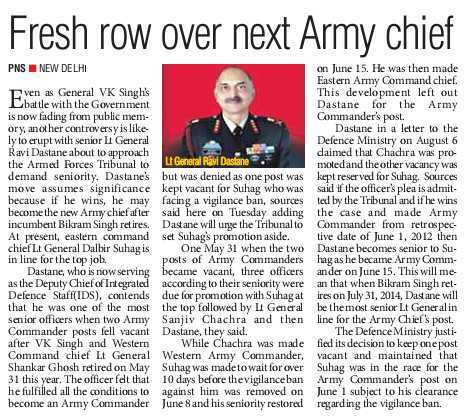 Dastane, however, was not given the second Army commander vacancy. Instead, it was kept vacant until Lt Gen Dalbir Singh's showcause notice was nullified on June 8 by Gen Bikram Singh, who had taken over as Army chief. On June 15, Lt Gen Dalbir Singh was appointed the eastern Army commander through MS Branch signal 388246/ 2012/MS(X)/94 dated June 15, 2012. Two weeks later, the MS Branch restored his seniority of June 1, 2012, through MS Branch letter A/45751/2012/ LG/Army Cdr/EC/MS(X) dated June 24, 2012. Dastane's Statutory Complaint to the MoD, filed on August 6, objects to the differential standards applied, in which one vacancy was filled by appointing Lt Gen Chachra, while "reserving" one vacancy for Lt Gen Dalbir Singh, and granting him retrospective seniority. 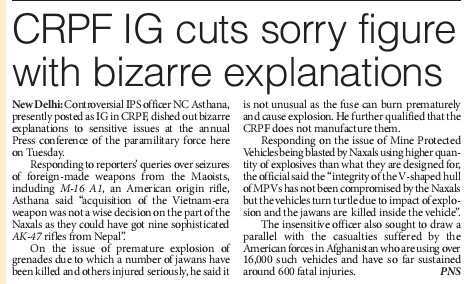 "They appointed Lt Gen Chachra because he was retiring on May 31. But my client was as eligible as he was, and if Chachra was considered for army commanders' appointment on May 31, that concession should also have been given to me. The government could have taken a stand that we will not appoint anyone before Dalbir's showcause notice is resolved. But they considered and appointed Chachra," points out Pande. The next army commander's vacancy arises only on January 31, by when Dastane would have less than two years of residual service, rendering him ineligible by current guidelines to be appointed Army commander. 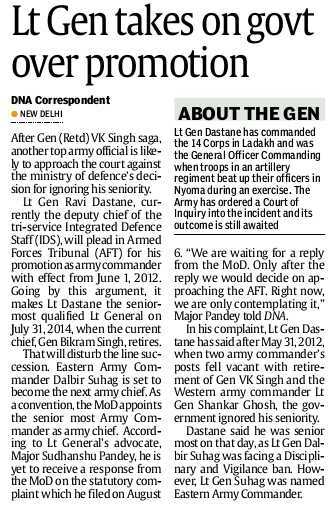 Dastane's lawyer says his petition to the Armed Forces Tribunal will plead for his promotion as Army commander with effect from June 1, 2012, and that he be physically appointed to head the next Army command that falls vacant. 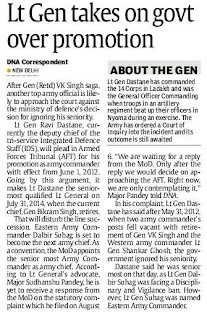 If this is granted, says Dastane's lawyer, the general will have a strong legal case to demand seniority above Dalbir Singh, who was appointed only on June 15. 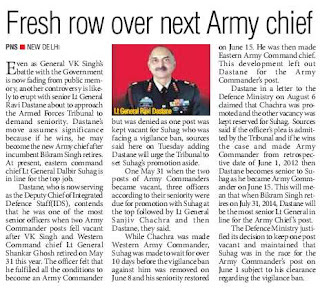 That would make Dastane the senior-most qualified lieutenant general on July 31, 2014, when the current chief, Gen Bikram Singh, retires. The MoD convention has long been to appoint the senior-most qualified officer to succeed an outgoing chief. The MoD's viewpoint, say ministry sources, is that Lt Gen Dalbir Singh's claim was alive on June 1, though subject to a decision on his showcause notice. 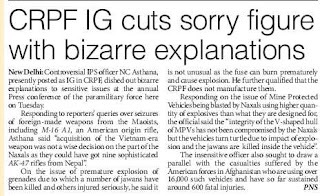 The MoD, therefore, left one Army commander's vacancy unfilled, in anticipation of a decision on the show-cause notice. The classes were held for a month at Bhattadurian, Chhatral and Poshiana villages of Poonch district, about 260 km northwest of Jammu. The army personnel conducted lessons in elementary arithmetic and reading. For many children, it was their first taste of school and they were left deeply touched by the experience. Eight-year-old Ameen Hussain of Bhattadurian village said that he had not imagined that studying could be such fun. He now yearns to be like his instructor, and become an army man. "My teacher has told me that if I study, I can become an officer in the army. Now I have made up my mind to do that," he said. Not all the children, though, have such dreams: Hashim Din, a friend of Ameen Hussain and nearly the same age, said: "One month is good enough. I enjoy being with my herd of goats. That's far better, more free." Defence spokesman Col RK Palta said that the aim of the classes was to encourage parents to send their children to school. "The requisite study material, including stationery, books and appropriate teaching aids for these classes were provided by us. 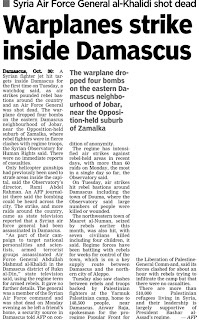 The aim was only to encourage parents to send children to school," Col Palta said. The Gujjar and Bakerwal tribes inhabitthe Pir Panjal range. Traditionally, their lives have been nomadic. There is a lack of basic facilities like schooling and children often accompany their parents to graze sheep and goats and gather fuel wood. According to state government statistics, of a total population of 1.25 crore, there are about 20 lakh Gujjars and Bakerwals in the state, of whom 5,00,000 continue with their nomadic life. The nomads move to mountainous pastures in summer and spend the winter in the plains, along with their animals. While the state's literacy rate is 68.7% according to the 2011 census, only 21% of Gujjars and Bakerwals are literate. Among those who continue to be nomadic, there are barely any literates at all. Palta said that the army's teaching initiative began after a request was made by the elders of the three villages during one of the regular amity meetings that the army holds. "Besides providing an exposure to basic education to the children of the area, these classes would also act as a catalyst in kindling the desire amongst children for education. We hope to also generate an interest in education in the parents. The immediate benefit of these classes would be only rudimentary knowledge for the tribal children," the spokesman said. About twenty students attended the classes that the army offered at each of the three villages. Seven-year-old Zubeda Sayed of Poshiana attended the classes regularly, without missing even one. "It was a happy time for me, studying. I would like to study more," she said. "The army will continue to hold such classes in future. We would also be only too willing to sponsor students from remote areas so they can attend regular Army Goodwill schools across the state," the spokesman said. He said the weather will not be an impediment to the effort. "We can continue the classes in winter, even when the place is snowed under. The children have nothing else to do at that time," he added.